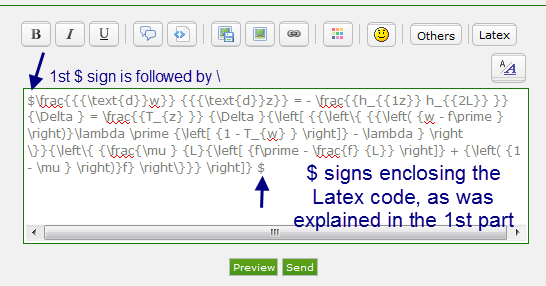 In the previous tutorial we utilised an offline method to enter Latex codes in our forum. In this tutorial we utilise this website. You are advised to bookmark it or access it through our Wibya bar.It must be acknowledged that this method is more difficult than previous one. 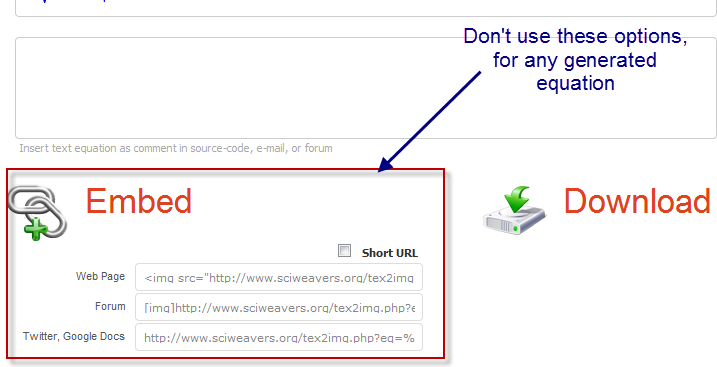 Our forum editor has been updated, the buttons aren't present now but the procedure & BBCode syntax is same! Import Equations to this forum. Select the whole code via highlighting or using Ctrl+A. Then copy it using Ctrl+C.Now for the final act. Return to the forum editor click the latex button. Two $ will appear in-between them cursor is blinking...right. Now just you paste via Ctrl+V.